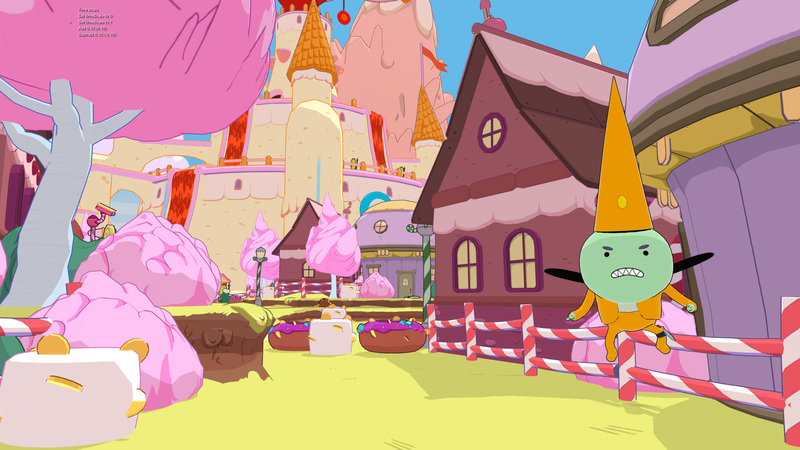 Despite drawing so heavily on video game culture itself, Cartoon Network’s Adventure Time cartoon has been inconsistent when it comes to game adaptations. 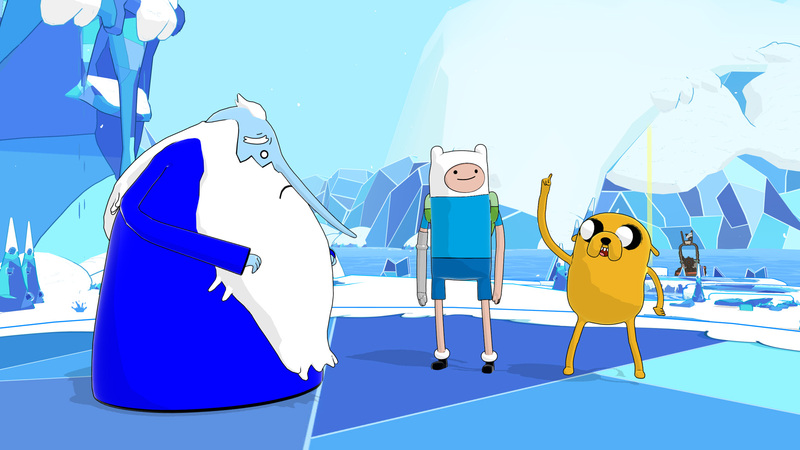 Adventure Time: Hey Ice King! Why’d You Steal Our Garbage?!! was a good first effort, but the other games that followed missed their mark more often than not. 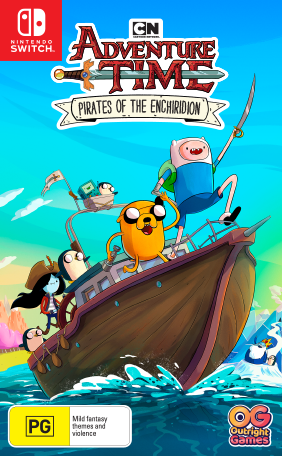 The latest outing, Pirates of the Enchiridion still isn’t the masterpiece that the cartoon deserves, but I haven’t enjoyed an Adventure Time game as much as this one since Hey Ice King! first dropped so many years ago. Adventure Time: Pirates of the Enchiridion sees Finn and Jake wake up one day to find the Land of Ooo completely flooded. A short investigation reveals that the Ice King’s lost his powers, resulting in the entire Ice Kingdom melting and flooding the rest of the land. Not ones to leave things at that, the adventure pals try to get to the bottom of what caused the Ice King’s dilemma so they can return Ooo to normal and punch whoever’s responsible. Also, with Ooo’s sudden waterlogged state, everyone’s become a pirate. (There’s a reason for this, though it might not be what you think.) 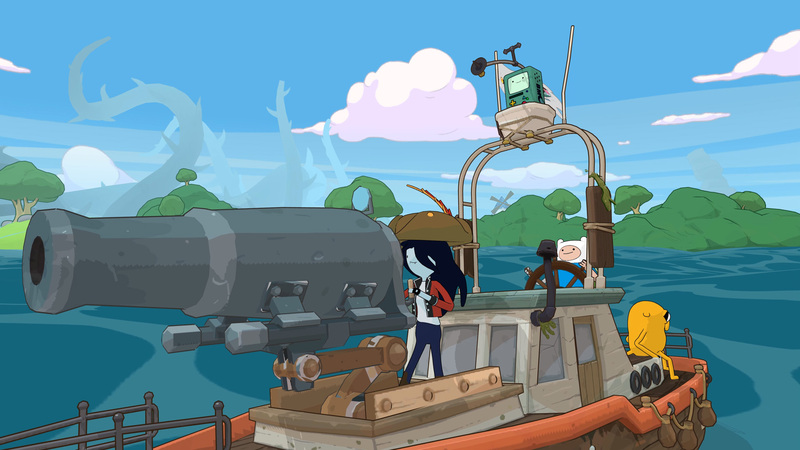 I’m not just talking bad guys, either; Princess Bubblegum and Marceline have taken their dress sense in a far more nautically roguish direction, and even Finn and Jake are partial to a good sea shanty or two. That all sets up a classic Adventure Time story, full of the series’ trademark oddball humour and self awareness. The dialogue had me laughing at every turn, and even a plot that could fall flat works, because the writers know how flimsy it is and just run with that. All the original voice actors reprise their roles here, and the cartoon-shaded art style perfectly captures the show’s aesthetic. 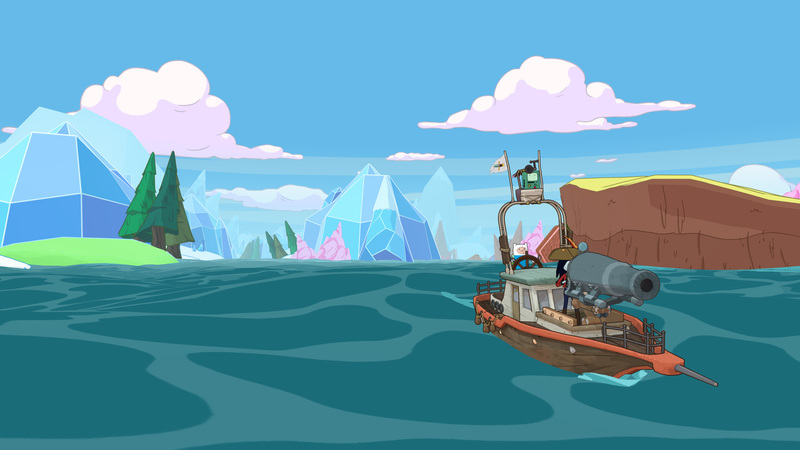 Pirates of the Enchiridion plays out like an extended Adventure Time episode, and I absolutely mean that as a compliment. The game underneath all that isn’t quite so successful. It’s an open-world RPG with turn-based combat, though neither aspect is particularly deep. Sailing around the flooded Ooo is enjoyable for a while—mostly thanks to the aforementioned sea shanties—but it soon becomes apparent that there isn’t much to see or do. There are a few sidequests with some useful rewards, but most are restricted to a small, isolated area, and the few that aren’t are a particularly bland type of fetch quest. There’s nothing much to be gained by being open world other than padding out the playtime, and the story that Pirates of the Enchiridion tells would have been better served by a more streamlined, focused design. The turn-based combat fares better; it’s not deep, but there’s enough variety in enemies, characters, and skills available to keep things from growing stagnant before the credits roll. It sticks close to the basic formula: when a character’s turn comes around, you select an attack or skill from a menu, and then they unleash it, before the next character’s turn comes along and they do the same. You only ever get four party members but they balance each other out nicely and everyone feels useful in a fight: Finn’s an all-rounder, Jake is a defensive specialist, Marceline is a heavy hitter, and BMO plays a support role. Each of them can learn up to three different special skills (with three different levels of each), and while that’s not a lot by typical RPG standards, it’s a good enough spread for a game that’s going to run you only eight hours or so. BMO especially makes things interesting, with a selection of very useful abilities like an energy charge that helps other characters deliver more powerful special attacks more often. Though it plays it pretty straight with the combat system, there’s one neat touch that I’d love to see more RPGs pick up: on each turn, a character can use an item as well as performing another action. You don’t have to use an item every turn (and you often won’t need to), but when you do, you don’t have to make a choice between using that item and doing something else. Considering that items are pretty much your sole source of healing until very late in the game, and that enemies hit hard enough that you’ll need to be patching yourself up just about every turn, it’s a welcome touch. Pirates of the Enchridion‘s combat isn’t without its annoyances, however. Exploiting weaknesses plays a big role, but there’s no way to track and record those in-game; you simply have to commit everything to memory—which gets tricky when you have a lot of different foes, many of whom look similar but have different weaknesses—or waste precious turns analyzing enemies. Battles also tend to just take too long, thanks to needlessly lengthy attack animations; that’s particularly true on Switch, with its excessive loading times. Outside of combat, you’ll spend most of your time exploring different maps in search of dosh, which runs Ooo as much as any other world. Like I said, items are your main source of healing, so you’ll need to keep yourself topped up with regular visits to Choose Goose. More significantly, you need dosh to strengthen your characters—levelling up raises a character’s stat caps, but you have to invest money to actually increase the stats themselves. I’m not entirely convinced by this sort of double-layered levelling system, but it at least lets you temporarily choose which stats to prioritise until you’ve got the money to max out everything. All that said, Pirates of Enchiridion‘s game design isn’t bad, as such; it’s inoffensive and, at worst, kind of bland. If you’re someone who enjoys Adventure Time—the obvious audience for a licensed game like this—it’s easy to put up with some uninspired play loops in order to enjoy the story that this game tells. I’d love to play an Adventure Time game that really pushes the boundaries and is as intrinsically enjoyable as the games that so obviously inspired the show’s creators, but I’ll happily put up with mediocre game design in something that captures the Adventure Time spirit as well as Pirates of Enchiridion.